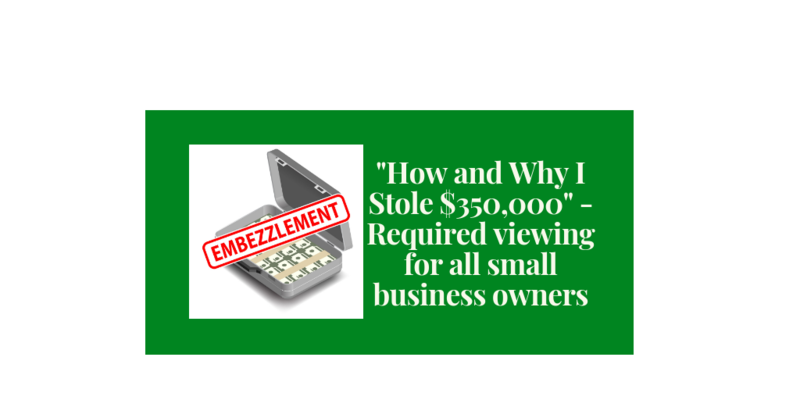 Required Viewing for Every Small Business Owner: "How and Why I Stole $350,000"
Bet that title got your attention, didn’t it? No worries though – it wasn’t actually me that stole anything. Rather, it was the former bookkeeper for a small business that actually did! DID SHE REALLY STEAL THIS MUCH? She went to jail because of it. Served 4 years to be exact. 4 counts of forgery. 4 counts of theft. 44 forged checks totaling nearly $350,000. Being an advisor to small businesses, I signed up for the webinar and watched every minute of it with great interest. During the session, Amy (who is now out of jail) discusses the entire process, complete with all the scary details of how she pulled it off (and what led to her being caught as well). In addition, Amy shared this short video to personally discuss how this all evolved. YES, SHE USED QUICKBOOKS TO PULL THIS OFF! There were a myriad of red flags being waved in Amy’s situation as she explains. One of them was how she manipulated QuickBooks entries to cover her tracks. Since she had full authority over all the accounting, and no checks and balances or segregation of duties were in place to “trust, but verify” her work, the path to stealing was that much clearer. Having worked with small businesses for over thirty years now, I can’t tell you how many times I see similar situations. The owner cedes full control of the accounting to their bookkeeper. After all, accounting is a pain anyway, right? What business owner wants to spend time mired in those boring details? Very bad idea to hand over full control of your accounting. 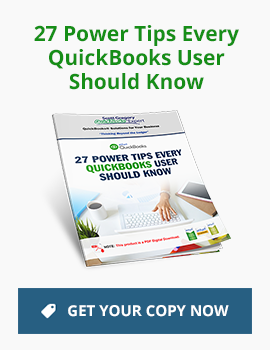 For starters, I can’t encourage you strongly enough to make sure you review the Audit Trail report (found under Accountant and Taxes) that is available in every version of QuickBooks. It will show every posting transaction ever entered, and if that transaction was modified or deleted (Amy’s favorite tricks as she describes in the webinar). Naturally, someone with bad intentions may have even more ways to steal from a business than just modifying or deleting transactions. That’s why it is so important to ensure you have the proper checks and balances in place when it comes to your accounting and cash management! Amy describes those in more detail during the webinar as well to give you an idea of how to get them set up to avoid potential problems like these. NEED HELP SORTING ALL THIS OUT? Has Amy’s story gotten your attention? If so, that’s great! If you’d like to keep the conversation going about the specifics of your situation, let’s discuss it further. Have any experiences you’d like to share on this topic to help businesses avoid this situation? Be sure to add them to the comment box below!